How to reduce Customer Churn? Put simply – understand it, then address it! 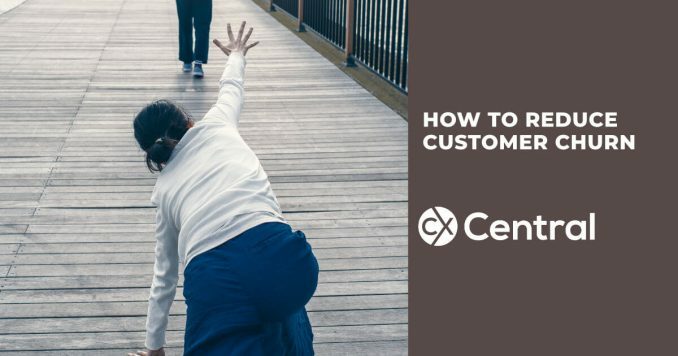 In fact, dont just strive to understand and address customer churn  even welcome it. Investigating customer churn uncovers vital information for company growth. Examples of churn are when a customer doesnt renew a subscription, closes an account or cancels a service. There will always be a certain percentage of churn but a high rate means lost revenue and stunted company growth. Your sales team could be doing a great job signing up new customers but if youre losing them just as fast or faster you need to do some investigating and come up with a plan. Customer churn doesnt only mean lost revenue and stunted growth. It has other equally harmful consequences. Happy customers are great for growth. But when youre leaking defectors back to the market who are spreading negative word-of-mouth then your reputation is taking a huge hit. Your old customers, who were your brand advocates, are now a liability. How do you reduce customer churn? It’s thought that over 90% of unhappy customers churn without ever complaining. To prevent this, it’s vital to have a Customer Loyalty Team and Customer Retention Program in place. This team needs to be proactive in preventing churn by communicating with customers and identifying any common issues such as, product features or price, that have and can lead to defectors. Simply call your customers, talk to them and thank them. There are many ways that you can begin to understand churn. Adding automated quick surveys to online bills/invoices lets customers easily highlight where they need help or what theyre unhappy with. This data not only helps you prevent churn but it can be crucial to new product and service development. Why outsource your customer loyalty team? 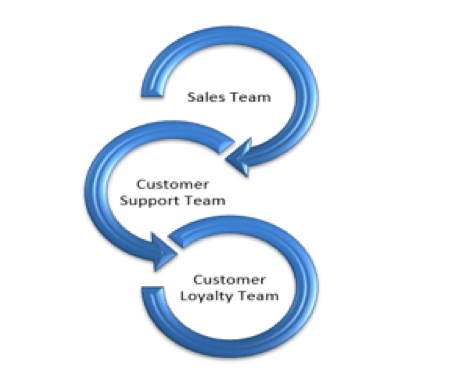 A good experienced outsource provider understands the customer cycle. Talking to customers to truly understand their experience takes time, and in most contact centres that’s a precious resource with very little spare capacity! Outsourcing your Customer Loyalty team allows you to obtain independent and objective data whilst allowing your existing workforce to keep focussing on their core functions. Current statistics show it is 5 – 10 times more expensive to onboard a new customer than retain an existing customer. For some companies, this statistic is even quite conservative, so it is essential to keep your current customers happy and have a Customer Win-Back Strategy for any ones you lost. No company boasts a 0% churn rate. The data that companies collect on each customer – products or packages bought, amount of usage, upgrades, downgrades, duration of account etc.  means they build up good user profiles on all of us. If someone decides to cancel, this data on customer behaviour can make winning back customers a much easier job. Being close to your customers doesnt just mean you can identify pain points but you can also uncover growth areas. It’s possible to glean invaluable customer insight and feedback to inform any new product development conversation. By staying close to your customers and reducing customer churn you also get invaluable product development information and you guarantee company growth  make that call, it’s well worth it. If you are looking for a call centre outsourcer to help reduce your customer churn search our Business Directory or use our free CX Connect service and we’ll provide you with a recommended shortlist of outsourcers.